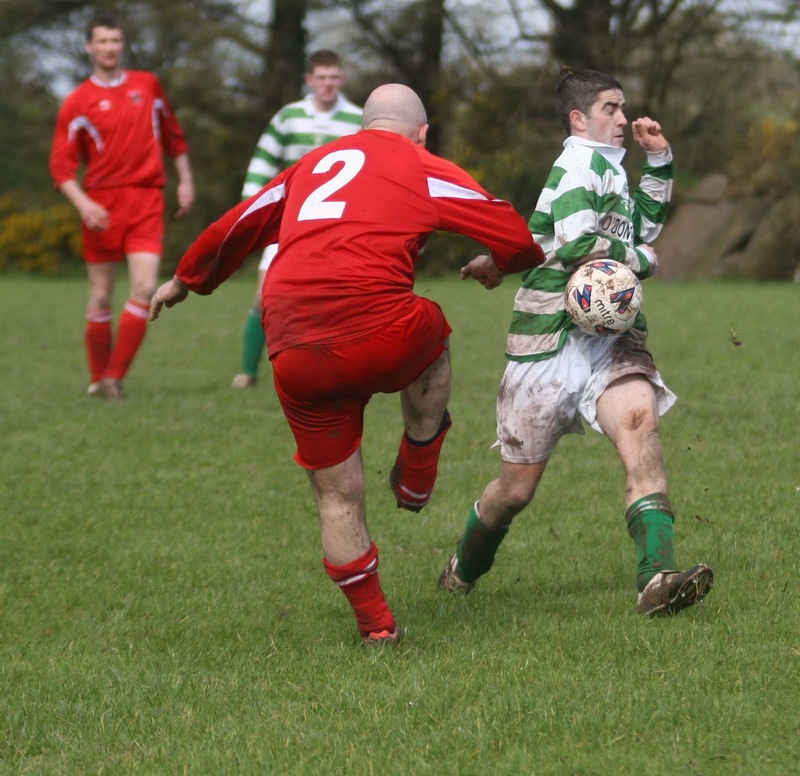 Inter-league striker Eric Fleming hit a sparkling hat trick for Maymount Celtic in their 4-2 win over first division visitors Ballyphehane Celtic in the Murphy’s Stout AOH Cup game at Killowen on Saturday. A heavy wind driven shower fell during the opening minutes and before it was over Fleming began his personal stormer with a goal in the 12th minute. Maymount soon made it 2-0. The visitors pulled one back just before the break. It had been a lively first half but the second was tame by comparison. Young Alan King put the home in a comfortable position and there was a late exchange, which ended with Fleming completing his hat trick in the very last minute. 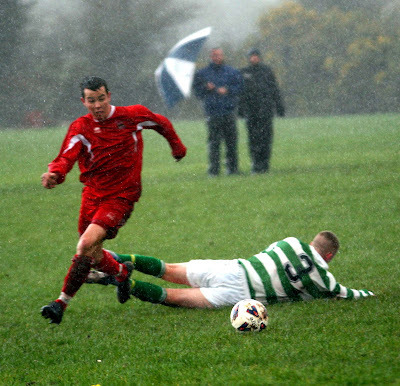 Maymount were playing against the rain when they opened their account. 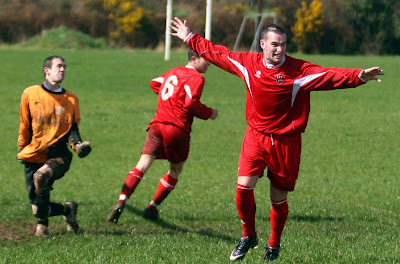 Roy Kenny pounced after Wayne Hogan had failed to cut out a long ball, ran on and squared the ball for Fleming to shoot home. Keeper Alan O’Mahony key made a fine save from Alan King before getting lucky in the 21st minute. Then Fleming worked his way past two defenders and, with Kenny shouting for the earlier favour to be returned, shot into the side netting against the exposed keeper. There was no reprieve though for the visiting custodian in the 25th minute. 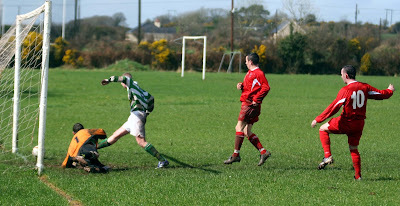 Maymount kept the ball well after a throw-in and eventually set up full back Paul Burke who crossed. Some feeble defending allowed Fleming shoot low from close in and it was 2-0. Maymount eased off at the start of the second quarter and Ballyphehane began to get a few half chances before they scored in the 37th minute. 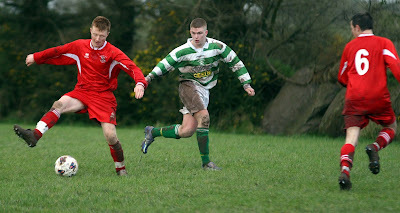 The chance was created by the hard work of midfielder Danny Long and well put away by Johnny Towler. The home side were clearly stung and upped their game and created two good chances as half-time approached. In the 43rd minute, O'Mahony made a great save from a close range shot by Fleming and regained his position quickly to catch Damien Morey's lobbed effort from the rebound. In the next minute, Maymount skipper Paddy McAuliffe played Damien Morey into the box and only a terrific Joe Ryan tackle prevented a goal. 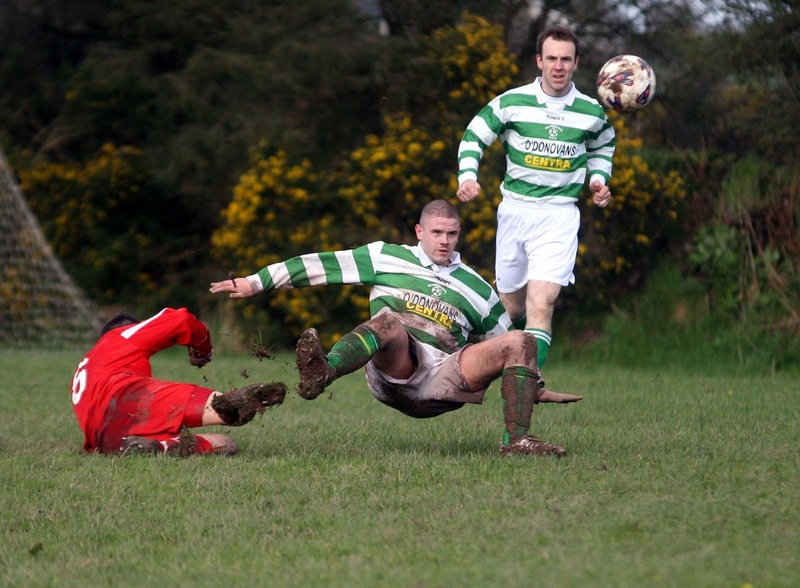 The corner produced a couple of close range chances, including a John O’Sullivan header, but Ballyphehane survived. Fleming should perhaps have made it 3-1 in the 62nd minute when he held off marker Roy Sweeney before lifting his penalty box shot over the top but Alan King made no mistake two minutes later. Then, an O’Sullivan clearance was helped on by McAuliffe and King raced in behind the defence to score number three, his low drive taking a deflection off the advancing keeper. There was little sign of a comeback but the final quarter might have been a more anxious time for the home team had visiting midfielder Doyle managed to deflect an incoming free to the net. 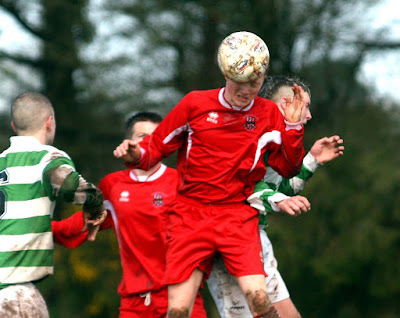 He got in behind but his close range touch took the ball over the top. Eric Dunlea headed a King rocket off the line following a Maymount corner before the visitors got one back with less than five minutes to go. The home keeper came for a long ball but ran into a bunch of players and Wayne Dunlea headed into the empty net. That goal was cancelled out in the final minute. Fleming, who had just missed one on the break, made no mistake when firing a terrific shot over the advancing O'Mahony to make the final score 4-2. 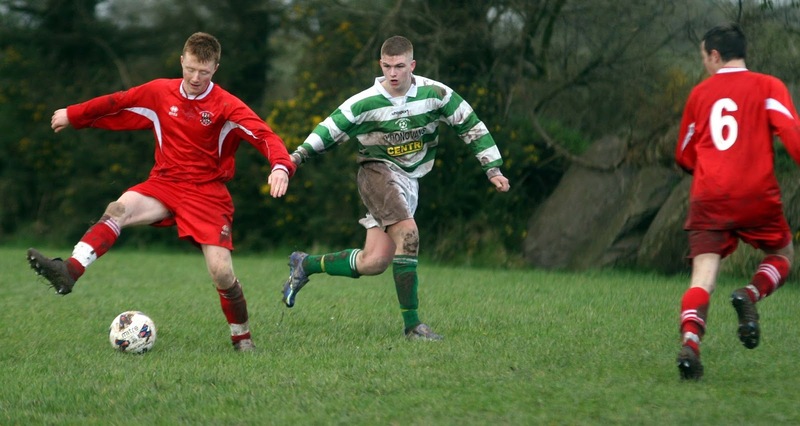 Maymount Celtic: Stephen Deasy, Derek O’Driscoll, Paul Burke, John O’Sullivan, Ian Fleming, Roy Kenny, Alan King, Stephen McAuliffe (captain), Damien Morey, Eric Fleming and Gordon Philpot. Subs used: Michael Geaney for Philpot (59th minute), James Green for Morey (66th) and Lloyd Crowley for Burke (75th). Ballyphehane Celtic: Alan Crowley, Joe Ryan, Wayne Hogan, Philip Long (captain), David Bennett, Trevor Dunlea, Jonathan Murphy, Danny Long, Wayne Dunlea, Johnny Towler and Eric Dunlea. Subs used: Michael Lee for Hogan (57th minute), Derek Newman for Murphy (66th) and Kevin Ward for Towler (79th).